There will always be great expectations for the films that have Dhanush in the lead roles. Similarly there will also be a great expectation for the films produced by them. The films Ethir Neechal and Velai Illa Pattadhari produced by Dhanush were super hits. Dhanush has produced the film titled Khaki Sattai which has Sivakarthikeyan in the lead role. This film is being released on 27th of this month. Next he will be producing a film which will have Simbhu in the lead role. This film is to be directed by Selvaraghavan. Recently this was officially announced. 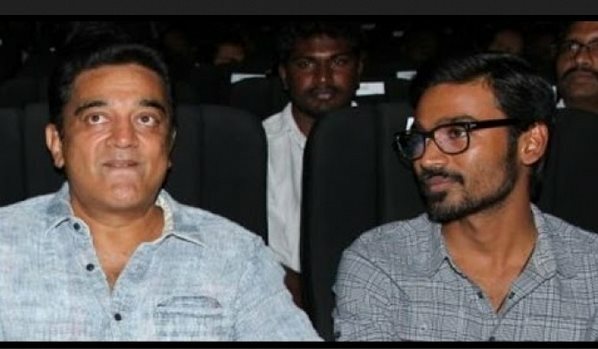 At this juncture, Dhanush will be producing a film which will have Kamal Haasan in the lead role. Dhanush has requested Kamal to select a director. Moreover Dhanush will be donning an important role in the film.